In this post, I will attempt to explain some basic ideas of multi-objective optimization and the non-dominated sorting genetic algorithm II (known as NSGA-II to it’s friends). I will also provide an example in Python using the library “inspyred”. Multi-objective optimization problems deals with conflicting objectives, i.e. while one objective increases the other decreases. 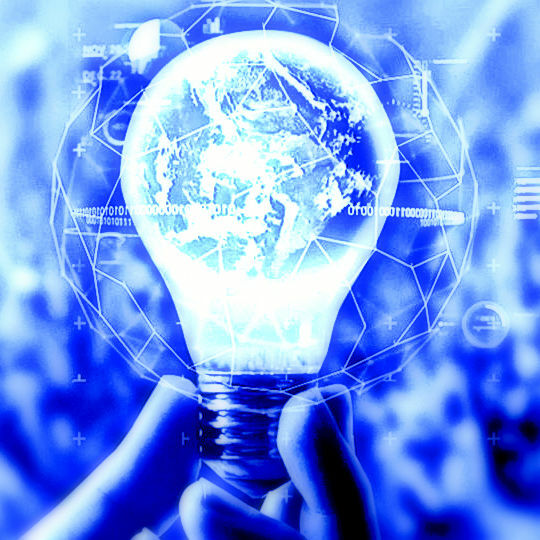 There is no a unique global solution but a set of solutions. Furthermore, the problem is subjected to J inequality constraints and K equality constraints. Additionally, each variable has an upper and/or lower bound associated with it. A solution that satisfies all constraints and variable bounds is called a feasible solution. The set of all feasible solutions is called the feasible region, or S. The term “search space” is also used as a synonym to feasible region. The objective space is constituted by the possible values of the M objectives functions for all solutions in S.
The non-dominated set of the entire feasible search space S is the globally Pareto-optimal set. 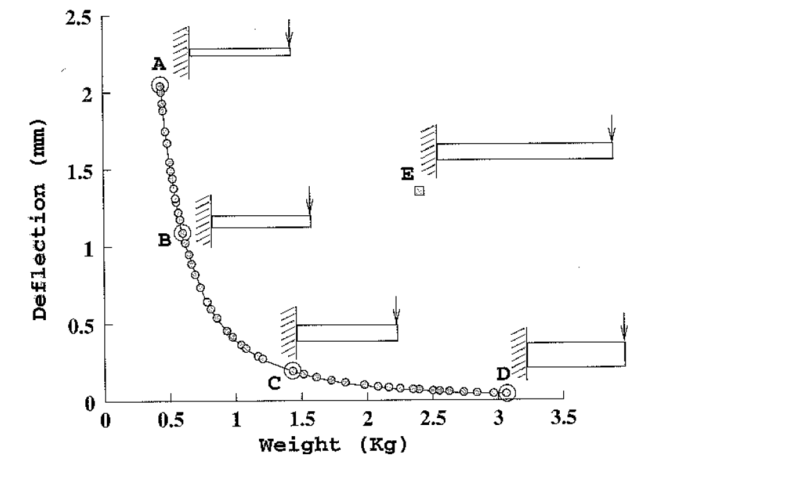 An example from civil engineering: the design of a cantilever beam. Minimization is performed on the deflection and weight, the decision variables are length and diameter. The diagram shows the associated objective space: values for deflection and values for weight for different settings of length and diameter. 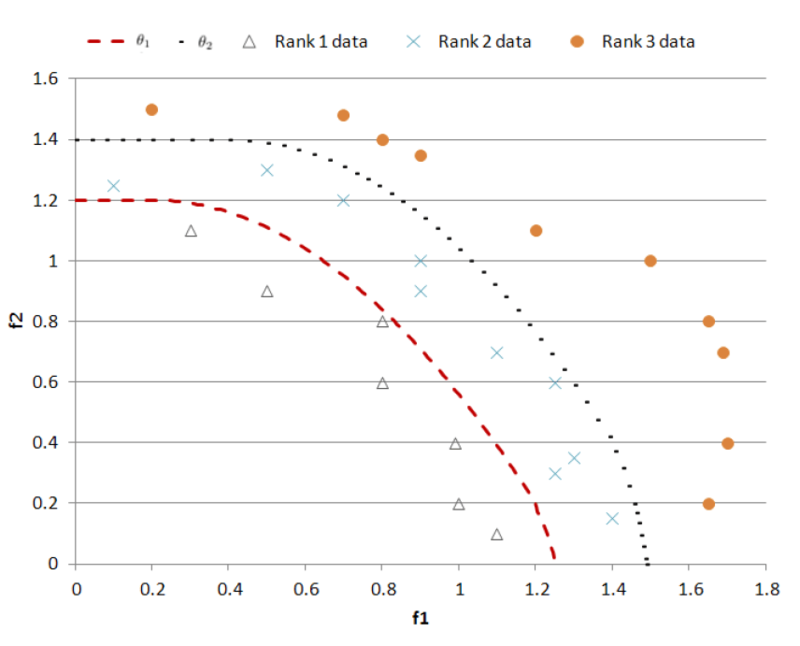 From this plot, it is easy to observe the tradeoff between deflection and weight in the Global Pareto-optimal set. In the objective space near the origin in figure 2, a curve is formed, it is the Pareto-optimal front. No feasible solutions can produce objectives any closer to the origin. This pareto front represents the best tradeoffs possible. Most algorithms tend to get stuck to a suboptimal solution. To understand NSGA-II. It is important to have a fundamental knowledge of genetic algorithms. See the following link https://www.analyticsvidhya.com/blog/2017/07/introduction-to-genetic-algorithm/. It uses an elitist principle , i.e. the elites of a population are given the opportunity to be carried to the next generation. It emphasizes the non-dominated solutions. Fill new population according to front raking. 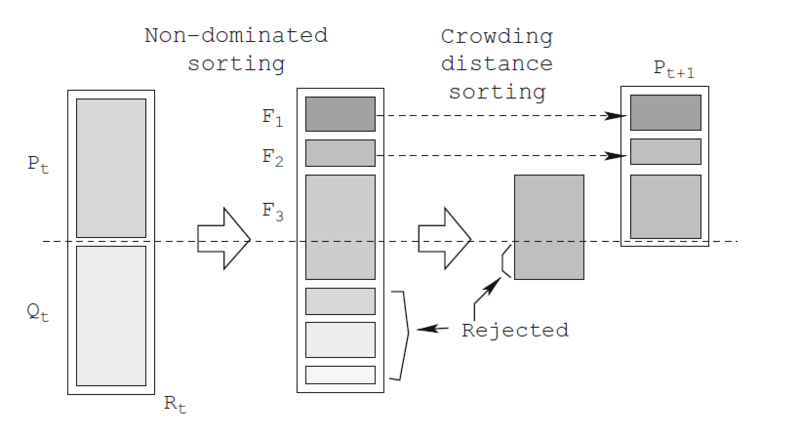 Create offspring population from this new population using crowded tournament selection (It compares by front ranking, if equal then by crowding distance), crossover and mutation operators. A code using the library “inspyred” will be explained. Deb, Kalyanmoy. Multi-objective optimization using evolutionary algorithms. Vol. 16. John Wiley & Sons, 2001. Chapter 15. Burke, Edmund K., and Graham Kendall. Search methodologies. Springer Science+ Business Media, Incorporated, 2005. Chapter 6. Deb, Kalyanmoy. Multi-objective optimization using evolutionary algorithms. Vol. 16. John Wiley & Sons, 2001. Seah, Chun-Wei, Yew-Soon Ong, Ivor W. Tsang, and Siwei Jiang. “Pareto rank learning in multi-objective evolutionary algorithms.” In Evolutionary Computation (CEC), 2012 IEEE Congress on, pp. 1-8. IEEE, 2012.